It's important for a couple to have their wedding invitations represent their style and capture the mood of their big day. Ann's Bridal Bargains now offers customizable photo wedding invitations for the bride who wants to create announcements with personality. 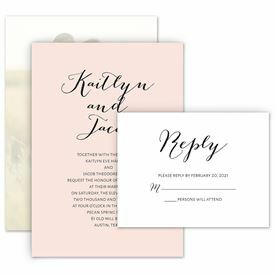 These photo wedding invitations allow you to utilize more than just one of the beautiful engagement photos that capture the love and joy between the happy couple. Be sure to check out more stationery from Ann's Bridal Bargains to complete your wedding invitation ensemble with wedding response cards, reception cards, map cards and more.